Rep. Cherlynn Stevenson, Connecting Abortion and Race, Bevin’s Veto, Edelen and Marijuana, And More! This week, Tish Buckner fills in for Jazmin (get well soon, J!). Robert and she discuss two court cases that were decided by the sixth circuit this week, and Tish talks about the connections between race and abortion rights, and how misguided some are in trying to recruit African Americans to the anti-abortion movement. Tish and Robert also talk about Adam Edelen's new push to decriminalize marijuana, and Matt Bevin's veto of the "quasis" pension bill, which will probably lead to a special session. Plus, plenty of quick hits! Rep. Cherlynn Stevenson is our guest this week, and we talked to her about living through a tight election night, how she plans to tackle her reelection effort, and her first legislative session. Rep. Stevenson was one of our first guests and we were very glad to welcome her back to the show! This week, we welcomed Rep. Charles Booker back onto the podcast. Rep. Booker joined us several months ago when he was running for office -- since joining the legislature, he's jumped in head first, sponsoring 50 bills and serving as the chief sponsor on 15. We talked to him about how he approached the session, and how he is serving as a representative of a community that is often overlooked in Frankfort. Before our conversation with Rep. Booker, we talked through the last day of the session -- what managed to pass, and what was left undone. Jazmin talked specifically about the pension changes for "quasi" governmental organizations and some appointments to the board of education. Also last week, Judge Boasberg overturned the Bevin administration's Medicaid Waiver. This week, we welcomed Rep. Attica Scott back to the show! She talked to us about the current legislative session, her thoughts on the state wide races this year, and what the future might hold for her. It's a great conversation, and we are excited to share it with you! Before that, Jazmin covered a few lawsuits between the state and abortion providers, and Robert talked to us about Louisville's failed attempt to enact a revenue plan and what cuts might be in store for the Commonwealth's biggest city. This week we welcomed Bruce Maples, publisher of Forward Kentucky, to talk about the end of the session. Forward Kentucky had excellent coverage, and we are glad to share Bruce's expertise on the podcast. Before joining Bruce, we talked through the news of Wayne Lewis seeking out the names of the teachers who called out sick, plus several Quick Hits. It's Sunshine Week! This week we celebrate open records acts, so we welcomed Amye Bensenhaver, one of the foremost authorities on open records and open meetings laws in Kentucky. We discussed the history of Kentucky's law, the changes being proposed to it, and who have been the champions of open government over the years. Before that, Robert shared why his was gone last week -- it's a tragic story which ended with the termination of his wife's pregnancy at 20 weeks. In the midst of the tragedy, state law almost got in the way. Jazmin shared about medical marijuana, and Robert talked in great depth about why Passport has been in the news recently. Finally, we updated all the goings on in the legislature during Quick Hits. This week, Robert couldn't join the show, and Jazmin did an abbreviated episode about all the topics involving teachers this week. 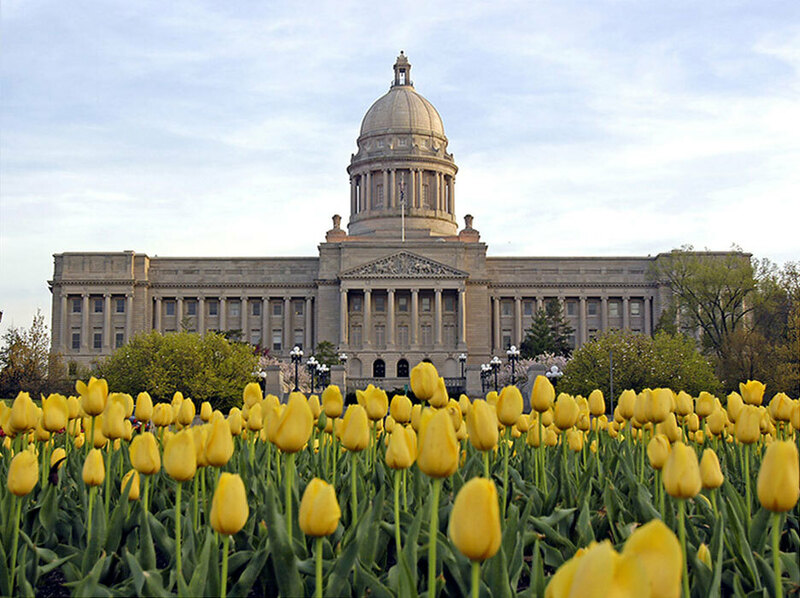 As you've probably seen, teachers have made the voices heard in Frankfort again this week, and we are here to tell you all about it. This week we welcomed Jason Griffith, candidate for Kentucky Secretary of State! He talked to us about his priorities for the job, plus what it's like running as a candidate from Appalachia (spoiler: lots of driving). Before speaking with him, Jazmin and Robert talked about the special election in Eastern Kentucky, plus updates about the progress of TWELVE different bills about topics as diverse as pregnancy protections, unemployment insurance, Franklin Circuit Court, the Kentucky CIO, and Kentucky's Open Records Act -- just to name a few. Chris Tobe, Democratic Women’s Caucus, Solar + Abortion Bills, & More! This week we welcomed Chris Tobe, candidate for Auditor, to the show. He's a financial veteran who has been active on the pension issue longer than anyone. He talked to us about why he wants to be the Auditor and what his priorities for the pension and other major issues would be if he were to win the election. Before that, Jazmin and Robert talked about the new Democratic Women's Caucus, the movement of the solar net metering bill and abortion bills through the legislature, Jazmin does a "Good Bill/Bad Bill", and Robert has some Quick Hits. Josh Mers, 13th District Finale, Alvarado’s Home Health Scandal, Good Bill/Bad Bill + More! This week, we welcomed Josh Mers back to the show! He's now a candidate for Kentucky Treasurer, and we talked what the office does, why he decided to run for that office, and what he wants to accomplish if he gets the chance to serve as Treasurer. Also this week, we talked about the ending of the 13th District saga, Sen. Alvarado's home health scandal, the SCOKY oral arguments regarding Marsy's Law, Louisville's terrible week, and we introduced a new segment: "Good Bill/Bad Bill", where we talked through two bills -- a good one and a bad one. The good bill this week was HB 41, a fair scheduling bill. The bad bill was SB 100, which makes solar net metering less attractive in Kentucky.